Girrrl Stop! 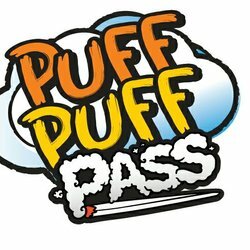 : Puff, Puff, Pass! There is a new guy that I’ve encountered recently: The Puffer. This is a guy who will blow a bunch of smoke and never deliver. He just puffs and puffs and puffs and yields no results. This is the guy full of empty promises. He says he’s going to do something when he has no intention of doing it at all. You know, “Imma call you this afternoon” - no phone call received (PUFF!) or “Let’s meet for breakfast tomorrow" - no call no show (PUFF!). It all started when I traveled to Atlanta, GA (my second home) for my one of my best friend’s 40th birthday celebration. Before we got into the main event for the weekend, we had to do some pre-partying. She took me out to a lounge spot in the ‘A’, I believe it was called MJQ or BQE or something like that, lol!! The music was going and drinks were flowing and somewhere in the middle of all that I met a very handsome man who I was quite enamored by. For purposes of our conversation today we’ll call him Benjamin (his name is actually one of the 12 tribes of Israel so I’ll go with this one lol!). We talked, laughed, and flirted, you know all the things you do in a lounge - well let me be transparent, I probably did more talking, laughing and flirting because of the spirit that dwelled in me at that time and it was not the spirit of Christ! Moving on. Turned out we knew some mutual people from college so we ended up exchanging numbers. We didn’t communicate that weekend because the purpose for my visit was my friend’s birthday. Normally when you meet someone long distance, even if you exchange numbers people usually don’t call. However, I was intrigued by him so the following week or maybe two, I followed up with a hello via text. To my surprise he responded and we began to text periodically; no big deal really. Fast forward about a year later, I decided to take a trip back to Atlanta for a visit. I certainly wanted to visit friends but I thought, let me check out Benjamin and hang out with him in the ‘A’. I called everyone about a 1 1/2 month before to confirm, to make sure that time was good for everyone, including Benjamin. I expressed to him I was looking forward to spending some time with him and he responded with the same! As is my way, I sent reminders to everyone about my arrival just to make sure people didn’t forget. So everything was a go, so I thought! Since I was staying for a week I opted to drive, it was cheaper. During my drive to Atlanta, several friends and family called to check on me but no call from Mr. Benjamin; indeed a red flag. I arrived in Atlanta late Saturday night so on Sunday late morning before going to worship, I gave him a call. He stated how he thought plans had changed when he didn’t hear from me the day before (side-eye). I told him my plans for the day and he said “Cool, I’ll call you this afternoon”. Well the afternoon came and went and no call. I called him that evening, he said he wasn’t feeling well. I texted the next day but ended up hanging out with my brothers that evening. Blah, blah, blah….fast forward to Thursday evening, my friends took me to a place in downtown Atlanta (or maybe that’s midtown) called Ra Sushi (very good by the way!!) and lo and behold I get a phone call from Benjamin. I’d been there since Sunday and it was now Thursday! He proceeds to say, “don’t talk bad about me I had some stuff going on blah, blah, blah, blah”. Then he ends with, “let’s do breakfast tomorrow morning”, he said he would stick his head in the office quickly and then meet me for breakfast: Boy Stop! The next morning, my bestie (I’m really too old to use that term but that’s what she is lol) was working from home and decided to cook a big breakfast. Guess who ate it? ME!!! Because I knew Mr. Benjamin would be a no-call, no-show - PUFFER! My week in Atlanta was absolutely wonderful: hanging with my brothers from another mother, shopping at the Mart, Ross and TJ Maxxing with my homie Dre, and that epic Tuesday night at the Hawks Game with E!! So don’t get it twisted my trip was awesome because I’m awesome and I do awesome s#! @ (said in my Kanye West voice)! So puff, puff nah I’ll pass! I’ll go into the red flags to look for in spotting a Puffer in my next post.